We had left over lentils from dinner the other night, so I've been trying them out in finger food meals this week. I made this for my little guy yesterday, and he really enjoyed it. It's full of whole grain, iron, protein, fiber and vitamins A and C. You can puree this or serve it as finger food. This is for babies 9+ months. 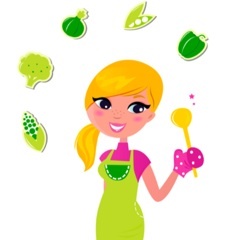 Put 1/2 cup water and 1/4 cup lentils in a small covered pot and gently boil for 20 minutes. Drain and set aside. Cook pasta according to package. Drain, cut into bite size pieces, and add to lentils. 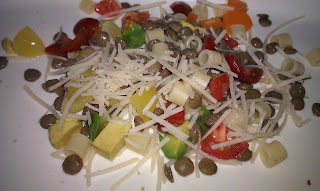 Add quartered cherry tomatoes and diced avocado to pasta and lentils and mix together. 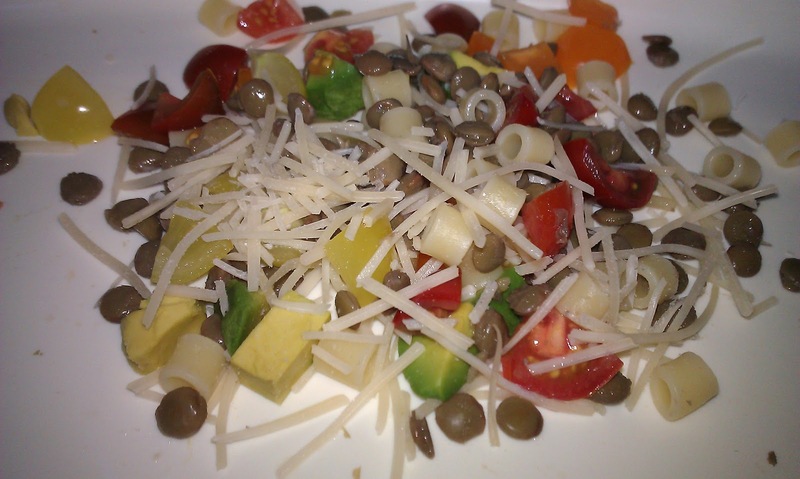 Sprinkle cheese on top and serve as finger food or puree with a little filtered water then serve. Enjoy!